(Seychelles News Agency) - A century and a decade. 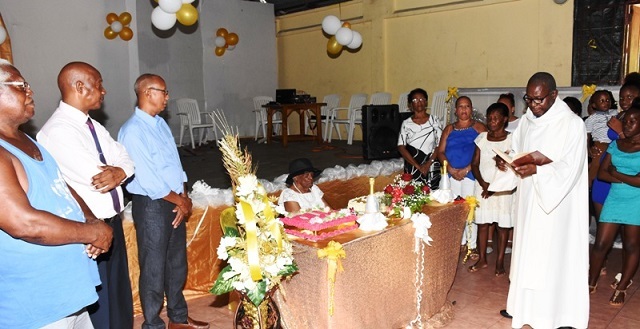 That's how old Nancy Marie turned over the weekend, becoming Seychelle's oldest citizen on record as she celebrated her 110th birthday on January 26 in the presence of family members and friends. Born in 1909 on Praslin, the second-most populated island of Seychelles, Marie now holds the record for the oldest person of the 115-island archipelago in the western Indian Ocean. 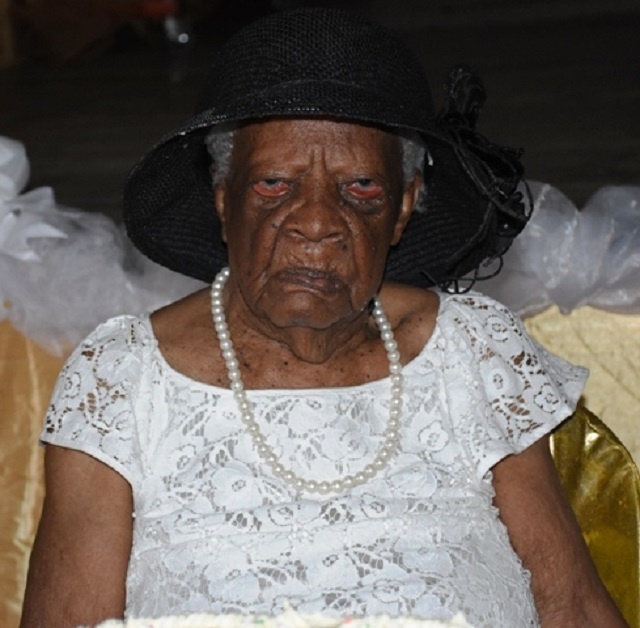 According to the Department of Social Affairs, the oldest Seychellois on record -- Aline Amelie -- lived to 109 years, six months shy from turning 110. According to the 2018 figures from the National Bureau of Statistics, the number of years a male is expected to live in Seychelles is 70 years and for female, it is 79 years. A resident of Ma Joie, Marie is a mother of two -- a son, Guy, 68, and a daughter, Anne, 65. She has five grandchildren and eleven great-grandchildren. To celebrate the auspicious occasion, a special ceremony was held at the central district English River community centre. The celebration kicked off with blessings from the Roman Catholic priest, Father David Alcindor. After a special prayer, Marie was presented with hampers and gifts from the Member of the National Assembly for English River, Wilbert Herminie, and the director general of the Department of Local Government, Emmanuel Toussaint. Marie said that she is joyful to be celebrating such a birthday and is privileged to see the family’s younger generations. For most of her life, Nancy worked as a housemaid at the Delpeche family residence on Praslin and the two families were very close. In her younger age, she enjoyed vegetables, tea and cooking, most especially chicken. Marie’s only daughter, with whom she lives, says that her mother can still take care of herself and even goes about her daily chores every day. “She doesn’t like just being idle as she is always trying to take care of herself and take care of little chores around the house,” she said. After waking up each morning, the first thing she does is brew her tea and makes some for everybody else. She is not the first in her family to reach 100 years; her mother Elizabelle Marie lived to see 103 years.